A fairy or wee folk, is a type of mythical being or legendary creature, a form of spirit, often described as metaphysical, supernatural or preternatural. Fairies resemble various beings of other mythologies, though even folklore that uses the term fairy offers many definitions. Sometimes the term describes any magical creature, including goblins or gnomes: at other times, the term only describes a specific type of more ethereal creature. Folklorists have suggested that their actual origin lies in a conquered race living in hiding. Victorian artists who depicted fairies include John Atkinson Grimshaw, Joseph Noel Paton, John Anster Fitzgerald and Daniel Maclise. 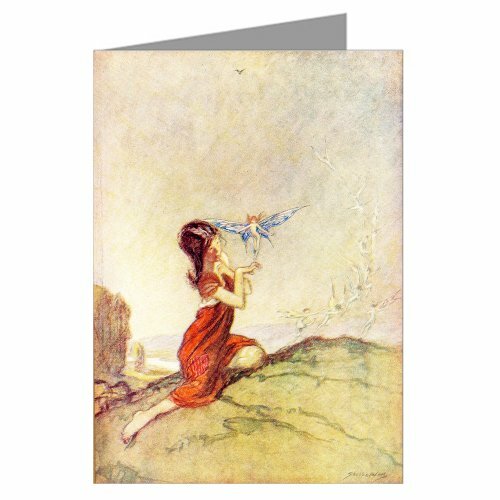 Interest in fairy-themed art enjoyed a brief renaissance following the publication of the Cottingley Fairies photographs in 1917 and a number of artists turned to painting fairy themes.